Programs provide services to assure the health of some of the County’s most vulnerable populations – infants, children, teens, pregnant women and mothers. These programs address preventable illnesses and death among women and children by enhancing birth outcomes, preventing infant deaths, supporting safe homes and transport, furnishing nutrition education and food vouchers to eligible women and children, preventing repeat teen pregnancies and coordinating health and medical services to children and women. 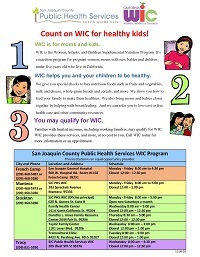 Referral information for health programs and services in San Joaquin County. CCS is a statewide program that arranges, directs, and pays for medical care, equipment, and rehabilitation when these services are authorized by the program. Services can be authorized for children and young adults under 21 years of age, who have a CCS eligible medical condition. Anyone can refer a child to CCS including a parent, teacher, or physician. 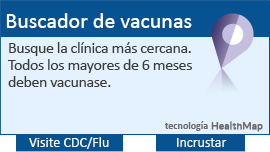 Nursing case management for children referred by providers with high levels of lead in their blood; education services for families, community groups and health care providers. Contact (209) 468-2593 or visit http://clppp.sjcphs.org . Home visits for high risk families and infants for care referrals and coordination, developmental assessments and parent education. Supplemental Nutrition Program for Women, Infants and Children provides food vouchers, nutrition education, breastfeeding support and referrals for health care to eligible women and children. Pregnant, breastfeeding and postpartum women of all ages, infants and children to age 5 may be referred by health care providers. 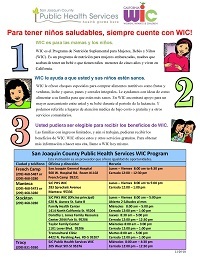 For Public Health Services WIC locations and schedules in English and Spanish, click here.